Labels "upper" and "top" in this picture refer to the orientation of the flower on a healthy plant in the ground. Because the flower is drooping, the pedicel attaches to the upper or top portion of the flower. Note that the key to the family in Budd's Flora requires "calyx regular". 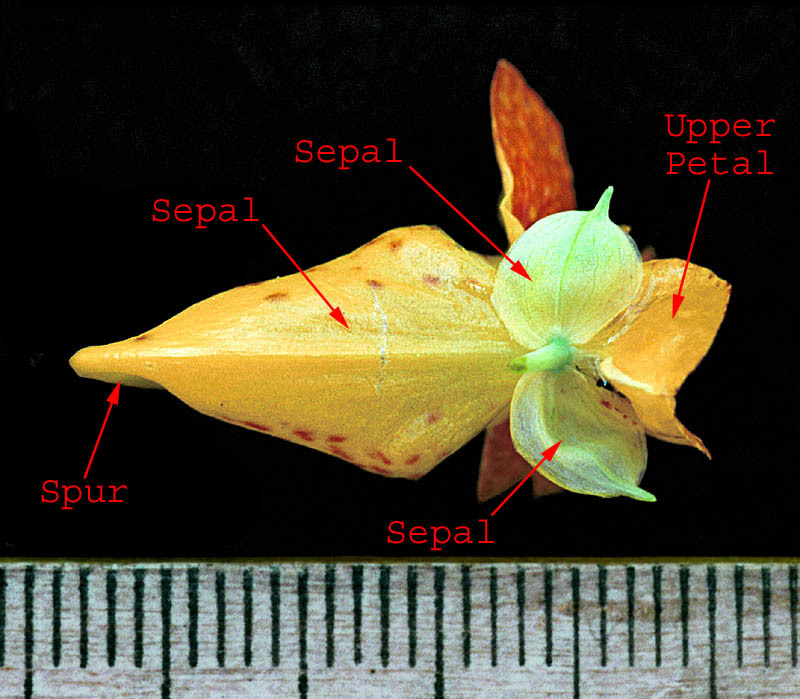 In fact, the calyx is highly irregular as implied in another requirement in the same key that "one sepal is petal-like and spurred". This species is also known as Impatiens biflora. Capensis: Answers to key questions in Budd's Flora and Flora of Alberta leading to this species. Balsaminaceae: Answers to key questions in Budd's Flora leading to this family.